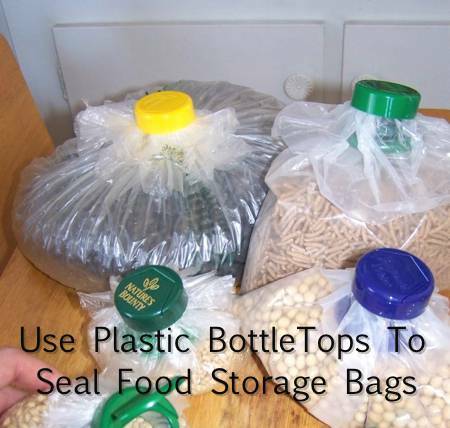 Sometimes you learn a great idea and you think to yourself “Why didn’t I think of that?” That’s how we feel about this ides to easily seal food storage bags with old plastic bottle lids. Here’s quick video from Learn Togrow showing how to cut and remove the top lid of a plastic bottle and insert it as a new container lid for plastic bag food storage. We agree with Togrow’s advice that bigger lids from larger plastic containers are more functional than the smaller lids from water bottles and the like.